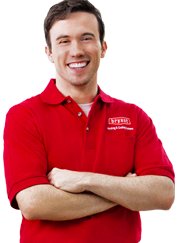 Looking for Air Conditioning & Heating Repair, Maintenance, Installation in Ocean County? We are a locally-owned and operated air conditioning and heating company and have been serving LBI and surrounding New Jersey areas since 1999. We know reliability and experience matters most to our customers, which is why the Air Technical Service Heating, Cooling and Plumbing experts pledge to always be honest, dependable and provide expert service. Whether you’re a homeowner or business owner, trust in Air Technical Services Heating, Air Conditioning & Plumbing to handle all your air conditioning and heating needs. Our team of technicians are highly trained in the field and experienced with all makes and models. We know you have a lot of air conditioning companies to choose from, which is why we strive to be better than the rest. Not only do we offer top quality air conditioning service at competitive pricing, our technicians are dedicated to providing fair and reliable service for any air conditioning need you have. Fully committed to ensuring each of our residential and commercial customers are completely satisfied, top quality service done right the first time is what we pride ourselves on. Does your AC need repairs? Trust in Air Tech to not only get the job done as quickly as possible, but we also guarantee all our work so you can rest easy that our repairs will last. Is it time to schedule your annual HVAC maintenance check? Let us help you prolong the lifespan of your air conditioning unit by providing the best AC maintenance plan that fits your needs. In search for a new air conditioner? Bigger is not always better. We’ll help you find the best fit for your home or business requirements. One that is the most energy-efficient and fits within your budget. At Air Tech, our expert technicians are prepared to quickly and accurately diagnose and repair any heating system problem, no matter the issue. At Air Tech, we know that heating systems are a critical part when it comes to comfort and safety, which is why we’re your trusted source for commercial and residential heating repair, maintenance and installation in the LBI, NJ areas. If you’re in need of repairs, maintenance or installation, look no further than Air Tech. Has your heating system not been working as it should? Whether your system isn’t operating efficiently or it has stopped working completely, rest assured we’ll diagnose the problem and make the necessary repairs. Need help with maintenance? Did you know that 50% of your home’s energy budget goes to heating and cooling? Even more if the unit is older or not maintained. Let our experts help you save on heating costs and extend the life of your heating system with the right maintenance plan. Is your heating system older than 10 years old? It might be time to start researching your replacement options. HVAC systems are not one-size-fits-all. Taking into consideration your layout and square footage as well as your budget, we’ll help you determine the best energy-efficient options for your space. Our expert HVAC technicians are ready to service your AC or heater at any hour with 24/7 emergency service. 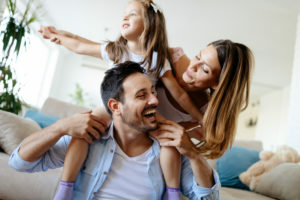 Whether you’re a homeowner with young children at home or you have a small business with customers and employees to worry about, our team will address the emergency repair right away. We handle all aspects of air conditioning and heating emergency repairs. Servicing any make, any model, any brand, our team is ready to help with fully stocked trucks so we can complete the repair on the first visit. Call us now to get service any time of day or night! We have been serving residents and businesses throughout the Ocean County area since 1999. As a locally-owned and operated air conditioning and heating company, our NATE-certified experts take great pride in the quality of our products and services. Whether you need repair, maintenance or installation, we deliver the best HVAC service around.